Thinking about a change to 1X? Or and upgraded 34t chainring? Considering Narrow-Wide? 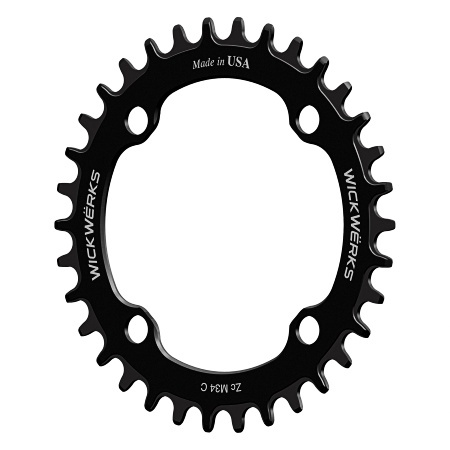 We have one step better for you in the WickWerks Z-Ring. This is Narrow-Wide Enhanced — enhanced installation ease, enhanced durability, enhanced pleasure! 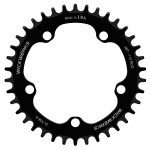 For a more info about Z-Rings, about Z-Technology, or about Z-Best 1X chainrings, Read Here. 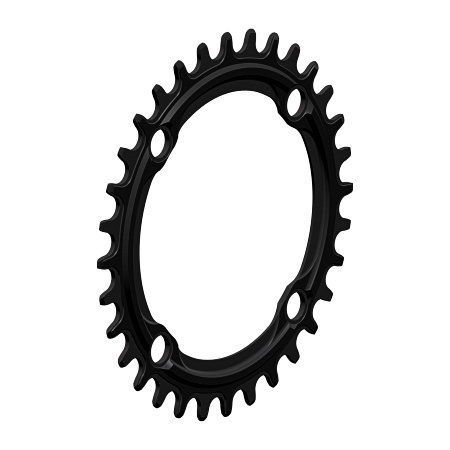 These 34t rings are designed for a 104 mm BCD, 4 bolt crank attachment – like on a standard mountain bike compact crank. Some cranks with this bolt circle are made for a triple; Some are made for a double — Both will work fine with these new Z-Rings for a simple conversion to 1X. 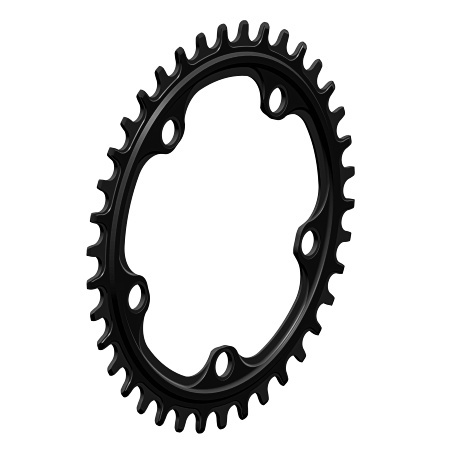 Converting from a Triple: The standard mountain bike triple crank has 3 chainrings like our Triple Set, but if you prefer a single, like many people, Z-Rings can make the conversion to 1X without buying a new crank. 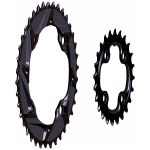 Get these rings (see sizes above) with the Conversion Spacer Tabs – or use a bash guard to replace the large ring. 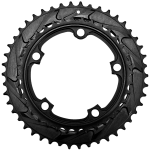 Either way, converting from a triple to a Z-Ring single is simple and does NOT require a new crank! 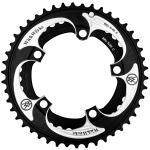 Converting from a 2×10: Check the bolt pattern of your mountain bike 2×10 first — make sure it is the 104 BCD. 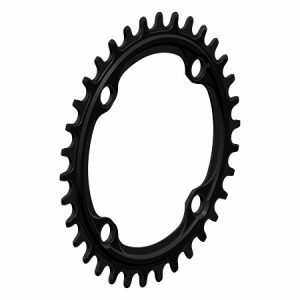 Z-Rings will fit fine with almost any 104 mm BCD bolt circle crankset. 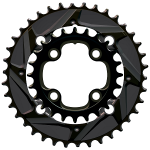 They take the place of the original 2×10 large ring. Select your rings here, or from the size list above. 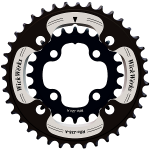 It’s an easy conversion that does NOT require a new crank!